Postcard of the Week: Home Sweet Home in London! I thought it fitting that on my first Monday back living in the Big Smoke (aka capital of England, aka one of the best cities in the world) I should have a Postcard of the Week from no other than London itself! Despite having posted over 100 postcards (!) since starting this blog of mine, there has never once been a postcard purely about London. There have been a few postcards from specific places within London, but not one all-consuming one. So here we have a postcard that I received a whole five and a half years ago in winter 2007 (yes, perhaps I hold onto my postcards a little too long). I was living in the Italian Alps at the time on my gap year, doing my ski season in Courmayeur. A school friend had just started uni in London and wrote to me in Italy on the back of this postcard, asking after my progress with snowboarding and challenging me to a ski race down the slopes. More importantly though, this postcard aptly represents the image I had of London as a teenager, years before I would actually move there in 2012. Coming from the sleepy countryside in Hampshire, to me London was grown-up, sophisticated, glamourous, exciting and alive. I had wanted to study at university there myself, fantasising about London as absolute freedom away from my parents, a place where ‘things actually happened’. My father dissuaded me from going to study in London, as I would have only been an impoverished student, and instead I was happy to spend 3 years in adorable Exeter. In hindsight I did the right thing. I have the rest of my life to experience London (and it’s far better with some disposable income, trust me) whereas there’s frankly no reason for me to go and live in Exeter between now and my retirement (at which point I’ll probably up sticks to Italy anyway). But to get to the point, the truly important message behind this particular postcard is the fact that at 18-years-old I had only seen certain polished parts of London, the parts a tourist or day-tripper would visit, or the elegant parts shown in films, and therefore my image of the city was idealised and distorted. We’d been to shop in Harrods and Hamleys, to see The Lion King and Cats in the West End, to various important museums on school trips, to the odd birthday party in a smart area of London, to tourist-filled Camden Market and Covent Garden, to the suburb of Wimbledon, to the London Eye and this very scene in the postcard, and little else. In reality, in all of the 18 months I spent living in London before moving to Madrid, I don’t think I once saw the sunset from this exact angle. But despite the fact that I don’t live bang in the centre of London, where my 17-year-old self would have pictured me living, London has actually exceeded my expectations. London is an absolutely incredible city, and it has taken moving to another European capital for me to realise that. Go anywhere in Europe and ask people where is top of their cities to visit – I can guarantee you London is on that list. We Brits take London for granted, because it’s always there for us, but there are very few other world cities that can match London, and it is arguably the most important city in Europe. I can’t wait to get settled back into London and pick up everything that has been paused during my six months in Madrid. I have been making lots and lots of plans, meaning that my next few months will be busy and exciting with plenty going on and plenty to blog about! Not least I’m looking forward to catching up with all my London friends who I’ve missed a lot. I’m excited to be back and I love that newly-arrived feeling, as if I’m just starting another adventure. If you’ve been to London or lived here, what did you think of it? Do you love it as much as me or do you think I’m seeing it through rose-tinted glasses? I have my issues sometimes with London but it’s an unconditional love! So hearing you talk about it like that makes me feel all tender towards it 🙂 It’s definitely one of the most incredible cities! So far in my 3 days here I’m still enamoured with London and haven’t had time to really notice its flaws! I’ve had a bit of a love-hate relationship with London – I moved there at 21 for a job and learnt to love it, but then after five years I had had enough and left, but came back for another five-year stint. It’s a great city to be in in your 20s (before all your friends get married, start having babies and move out of town!) and I enjoy going back as a tourist now, though not sure I could live there full-time again. How interesting, I wonder if I’ll get to that point sometime too. There are other world cities I want to move to and live in as well so I imagine and I’ll be leaving and returning to London a fair bit in the next few years! I think we always see the cities we move to with rose tinted glasses. I think it is the experience and the excitement of moving somewhere new that contributes to your perception. That has been my experience anyway. Leeds may not be high on anyone’s to do list, but I love the city because I studied abroad there for 6 months and I can’t wait to go back one day! I feel the same about a small Italian city called Modena, no one else would particularly want to live there but I had a fantastic time on Erasmus! I’m the same about Modena, a small Italian city that most tourists wouldn’t bother visiting. But I have such great memories of living there on my year abroad. But it definitely is exciting to be back in the metropolis of London, I’m loving it. 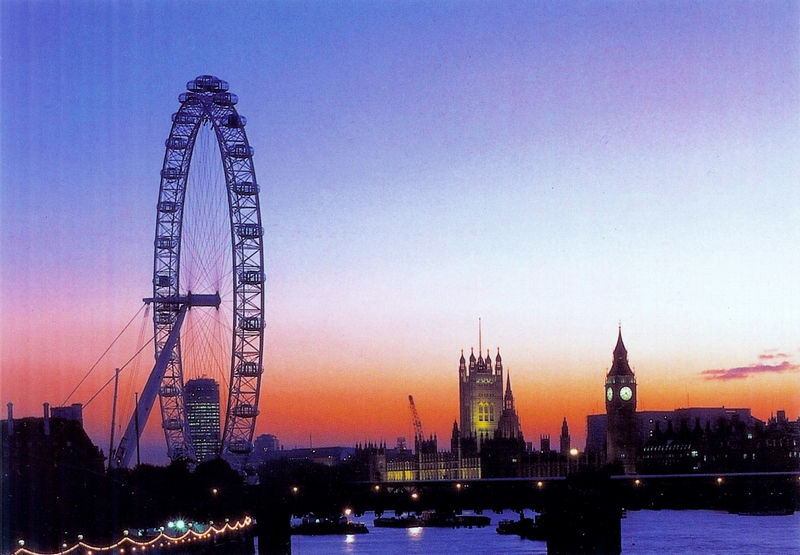 Without any doubt, London has more of interest and pleasure than any other city in the world. Paris these days is looking a bit tired, and New York is moribund too. London is steadily improving still further in so many ways. No wonder it is now the most visited city in the world! Is it really the most visited? I didn’t know that. But yes it’s definitely increasing in popularity, for good reason!